Fine interlocked links create a thin, comfortable mesh strap, bringing a touch of modern elegance to this sleek watch with a mother-of-pearl or enamel dial. 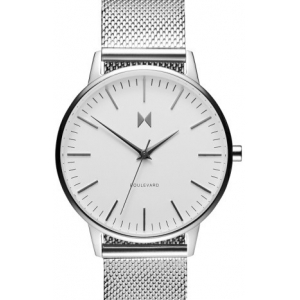 Style Name:Mvmt Boulevard Mesh Strap Watch, 38Mm. Style Number: 5279519. Available in stores.